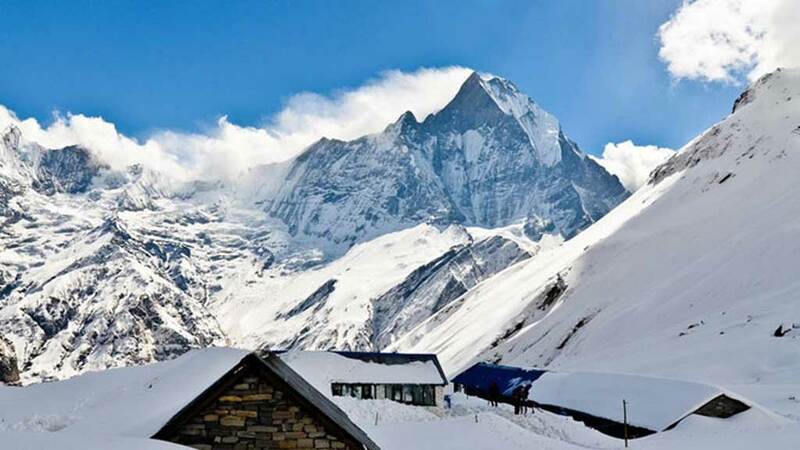 Maximum Elevation : 4,195 m.
10 Days Annapurna Base Camp Trek is a an exciting journey that harmoniously incorporates all the features and attributes of Annapurna Conservation Area to offer short trekking experience for travelers who are short on time. Annapurna Base Camp Trek is one of the most eccentric yet common trekking destination in mid-western Himalaya of Nepal. 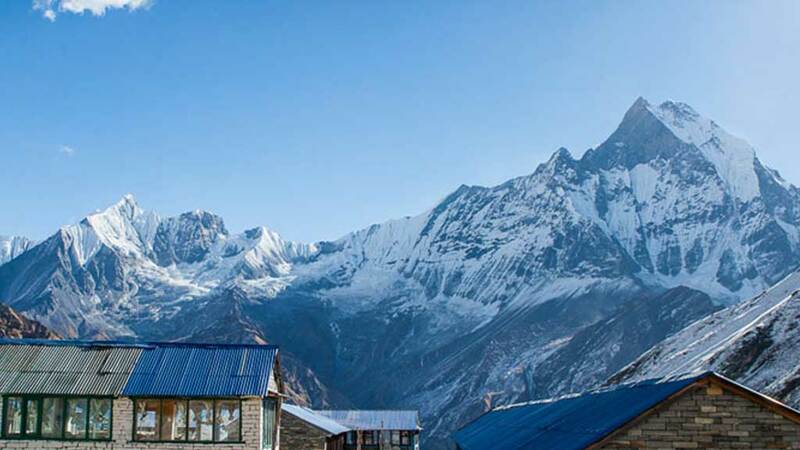 Annapurna Base Camp lures thousands of trekkers to enjoy its astounding blend of nature and Himalayan culture. The trekking route offers the grand scenery of ice giants like Mt. Annapurna I, II, III, & IV, Mt. Dhaulagiri, Mt. Machhapuchhre and numbers of other peaks. The magical forest, rocky trail, glacial rivers, cultural villages and beautiful pasture make this one of the best trek in Himalaya. The good thing is; it takes just 10 days to complete the entire trek. Equally popular Everest Base Camp Trek takes at least 14 days and is very expensive compared to Annapurna Base Camp Trek. Annapurna Base Camp nestles at 4,130m; so acclimatization is the major factor. 10 days Annapurna Base Camp Trek itinerary ensures proper acclimatization by limiting gain in daily altitude. The trek, however is easy, and can be accomplished by anyone reasonably fit. 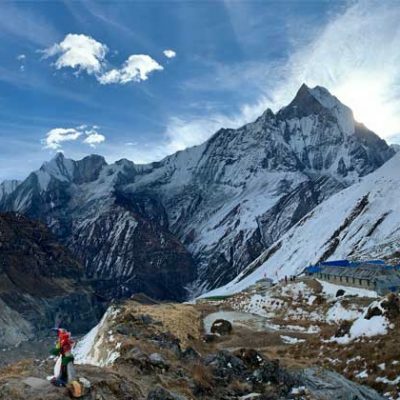 10 Days Annapurna Base Camp Trek goes through picturesque villages and discover their unique culture and tradition. We will stay at local teahouse which allows firsthand experience of daily their daily lifestyle. The region is pre-dominantly inhabited by Tibet-Bermo group – Magar and Gurung. There are known for their bravery in British Gurkha Regiment. What to Expect during Annapurna Base Camp Trek? We walk between 5 – 7 hours a day – the trek duration depends on the pace. Remember the trek comprises numbers of ups and downs and some flat. At some point, you have negotiate with lots of stairs. 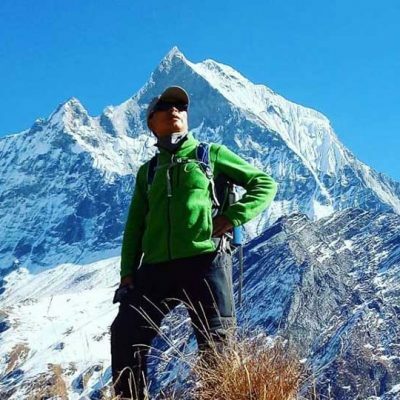 The level of difficulty on the Annapurna Base Camp Trek isn’t too bad and the route we follow on itinerary offers plenty of time to rest when needed. You can use hiking poles to help relieve you joints while up and down on mountain. You will have limited selection of teahouse and hotels on the trail. Though the accommodation is basic, you will feel comfortable and the beds are planned on twin-sharing basis. Almost every tea house on the trail have access to boiled purified drinking water, bottle of water and hot water. Per liter water costs Rs.50 – 500; it depends where you are. Cold shower is free but we recommend you to take hot water shower as it is extremely cold up there. The price range between Rs.100 – 500 per head. Like you accommodation, the food choices are also limited. We suggest you have the authentic Nepali cuisine – Daal Bhaat & Tarkari which is filly and offer healthy calorie. However, there are some choices of common international foods like Pasta, Noodles soup, Mo Mo, Pizaa etc. Day 02: Drive to Pokhara 860 m. (220 k.m., 6 hours). Day 04: Trek from Chomrong to Himalaya (2,920 m., 6 hours). Day 05: Trek from Himalaya to ( ABC) Annapurna Base Camp (4, 095 m., 6 hours). Day 06: Trek from Base Camp to Bamboo (2,050 m., 6 hours). Day 07: Trek from Bamboo to Jhinu Danda (1,700 m., 6 hours). At Kathmandu Tribhuvan International Airport, our representative will welcome you and transfer to your hotel in the hub of Kathmandu city. After getting refresh our guide or leader will brief you about the trip and all plan. In the evening, enjoy our welcome dinner in a nice Nepali restaurant with the cultural performance programs. Day 02:Drive to Pokhara By Tourist Coach, 860m (220 k.m., 6 hours). Starting Annapurna Base Camp Trek with a drive on Nepal’s interesting highway to reach Pokhara, journey leads past many farm villages and towns with views of mountains. The drive finally ends on reaching Pokhara and transfer to hotel near beautiful Phewa Lake where most of the nice hotels are located. 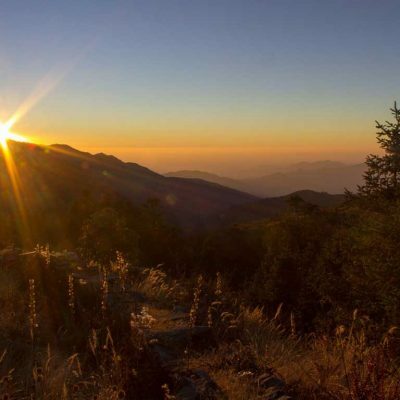 Day 03: Pokhara to Matque By Jeep-and begin your trek to Chomrong (1,951 m., 6 hours). After breakfast, take a ride for 4 hour to Kilyu via nayapul along the Modi River. from here, the walk begins through the Jhinu forest. you will walk an uphill climbing for an hour to reach on top of Chomrong village, and then short downhill to main Chomrong village for overnight, this is the last permanent Gurung village and the gateway to Annapurna Base Camp and Sanctuary Trek. Day 04: Trek from Chhomrong to Himalaya (2,920 m., 6 hours). Day 05: Trek from Himalaya Hotel to Annapurna Base Camp – ABC (4,130 m., 6 hours). Day 06: Trek from Annapurna Base Camp to Bamboo (2,050 m., 6 hours). Day 07:Trek from Bamboo to Jhinu Danda via Chhomrong (1,700 m ., 6 hours). Through the dense forest to Sinuwa danda. From here, walk descends to Chomrong Khola. After the bridge, an uphill walk for less than an hour reaching at Chomrong village for rest stop or lunch, after Chomrong with another up for half hour to the top of Chomrong ridge, then our route descends to Jhinu Danda, for overnight stay, this place offers refreshing hot springs just 20 minutes walk downhill near Modi River. Day 08: Trek from Jhinu Danda to Matque, then take a ride back to Pokhara (3 hours hiking and one hour drive). This is the final day of our trekking. We trek to Siwai from Jhinu Danda and end our trek there.we will have Lunch in Siwai then drive back to Pokhara and explore the beauty of it. You might be interested in climbing to Sarangkot hill which is famous for adventurous paragliding sport. Explore Pokhara City and overnight stay in a hotel. 2 nights at 2-3 Star hotel in Kathmandu, including breakfast and Wi-Fi. Transportation from Kathmandu to Pokhara to Kathmandu by tourist Bus. Pokhara/ Matque and Siwai to Pokhara by Private Jeep.